On my way home today, I stopped to say hello to the mountains. But while I originally had pulled over to say hello to the mountains, I also got to say hello to the painted ladies – the butterflies. There are hundreds of thousands of them, all passing through and I’m lucky enough to live along their migration path. No one knows exactly why they choose to come here, but I’m happy they do. I heard they are headed west. Maybe they’re chasing the sun. So, as I sat alone outside my car, I blew kisses to the mountains, to thank them for being so magnificent. I blew kisses to the butterflies as they flew by, to wish them good luck on their journey. It’s days like these when I know I wouldn’t be able to live in a place where the sun seldom shines. There wouldn’t be nearly enough mountains that compare to Ojai mountains and there definitely wouldn’t be enough painted ladies. I hope they all reach their destinations. And if they really are chasing the sun, I hope they catch it. I’ve gotten myself in the habit of writing down my feelings. I’m not sure that habit is the proper term, though. I’ve found it’s actually quite therapeutic at times to be able to physically sort out my emotions into something that is easier for me to understand. When I feel angry or sad or happy, my first reaction is to analyze and explain it and then eventually sort it out into something that is comprehensible or maybe even beautiful to some people, sometimes I try to feel things simply in the way they are. There are times when I can write for an hour, without stopping, and the result will be something I’m proud of. But when I find myself struggling to choose the right words, I know it’s time to put down my pen and just feel it for a while. I’m constantly analyzing experiences, people, feelings. I guess maybe it’s because I don’t like to be confused, so when I don’t understand how I feel or why I’m feeling it, I won’t stop thinking it over and over until I reach a resolution. I like to understand how I’m feeling. I don’t think there’s anything wrong with that. But just like with my favorite books and songs, most of the time I just appreciate them for what they mean to me, even if I can’t fully explain why. And I think there’s something special about that too. I went for a drive tonight. First, I made a left turn onto the highway at 9:17pm. It wasn’t raining yet, just a slight drizzle. The roads were just starting to get wet. I forgot how much darker it is when there’s a storm coming. As I got closer to town, I saw some couples wandering up and down main street, bundled up in coats and jackets, strolling under yellow light and holding hands. I watched a little boy running along the sidewalk past a restaurant, clutching the straps of his backpack tight against his sides, the pom-pom on top of his beanie bouncing up and down as he went. I wonder where he was going. By 9:25 the rain had started to come down a bit more. I rolled down the window to feel the cold. I rolled along to a four way stop. There was no one else waiting. So, I looked up towards the street light. A dull orange beam perfectly showed the rain coming down, lighting up thousands of little droplets falling from the sky. I stuck my hand out the window, felt the rain hit me for a moment, then signaled right and moved on. I’ve lived in the same place my whole life, but I’ve never realized how beautiful it is until recently. Maybe I just didn’t notice it before or I wasn’t old enough to appreciate it, but lately I catch myself staring up at the mountains. It has been raining a lot lately. On my drive home, I noticed that the north-facing slopes are so much greener than the south-facing ones. But Dad says this isn’t supposed to happen. South and west-facing slopes are usually the greenest, at least where we are, because of sunlight and rainwater, he explained. The south-facing Topa Topas are just dry because of their rocky terrain. I’m not sure why even still I think of the fire when I’m admiring the mountains. Maybe it made me appreciate them more. The trees still seem like skeletons to me. They are black and withered and don’t really fit in with the bright grass that’s growing in. They used to be so much greener. But at least they are still standing. I’m thankful for that. There isn’t really much to do in this sleepy town, especially after having been here for sixteen years. But despite that, I can’t think of a better place to have grown up. we make our own waves. 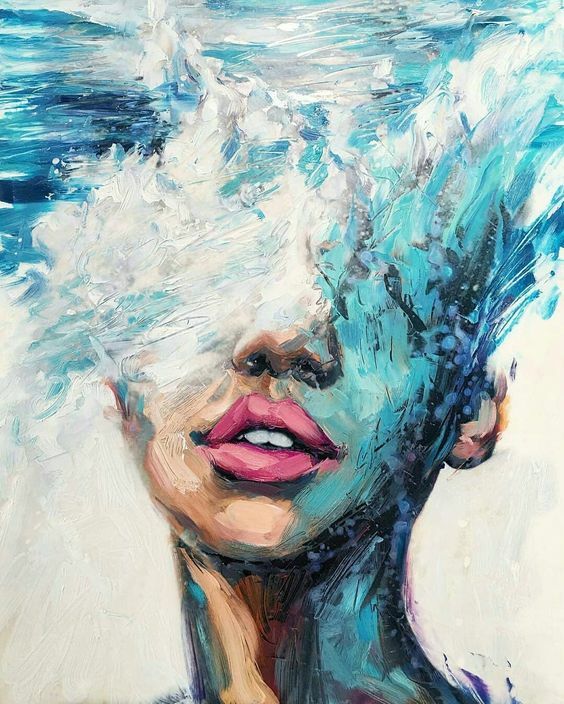 “I make my own waves. I make myself angry when I don’t need to be! not good for my health. I see you do the same thing to yourself. like it’s genetic, maybe. And I’m sorry. and to care and to try the same way that you do. don’t know how to fix it. you’ll be so much better for it. I make my own waves too, sometimes. But the thing about waves, is that even though they can be destructive, they can also be spectacular. So, I think that it’s okay to make waves in our lives, but we have to decide which kind they will be. Theater is one of my favorite things in the world. And though I have the talent of a rock, and would never participate in any musicals ever, I love watching them and over the past couple years my obsession with Broadway has grown stronger. So, I decided to compose a list of my favorite Broadway shows and movie musicals and why. 10. Dear Evan Hansen: I haven’t seen this musical yet, but I am obsessed with the soundtrack, and I really hope I get to see it one day. 9. The Lion King: There’s no reason why this musical is low on my list, because I loved it with all my heart. I was in awe during the whole production with the costume design, music, and set, and would recommend it to anyone, but it’s not a show I would go see a second time unless I went with a friend who would really want to go. 8. The Greatest Showman: This is only a musical, but there are rumors that a Broadway production of it is in the making. This was my favorite movie during all of 2017. I loved everything about this musical movie. The music, the actors, the story, all of it. So much so that I saw it three times in the theater within three weeks, and several times after that on the plane. 7. Wicked: This one should definitely be higher on my list, but I have too many musicals to mention, so this had to be right here. I’ve seen Wicked at least three times because every time it goes to my city my family has tickets. It was the first musical I’ve ever watched and it’s been one of my favorites since. 5. Mamma Mia: Anyone who knows me knows this musical is bound to be on my list whether they decide to read this or not. This is my favorite movie. I’ve never seen the live production of it, but I’ve watched the movie at least 100 times and if I could revive any Broadway show it’d be this one (or Newsies). 4. Hamilton: Do I need to explain why Hamilton’s so high up? I’ll probably have to say why it’s not my favorite, but this musical is amazing. There’s a reason why it’s so freaking popular. It’s a rap musical and all the dialogue is done rapping, there’s no simply talking except for maybe two times in the whole production. I was lucky to see this show with my aunt last year in Los Angeles with tenth row seats and it was the most magical three hours of my life. Additionally, history is one of my favorite subjects and this musical was a modern production on a story from almost three hundred years ago with a diverse cast and an incredible soundtrack. 3. The Book of Mormon: I dedicated a whole blog post to this show last year, but it didn’t do it 100% justice for how amazing it was. This show was hilarious and I went into it skeptical that I was gonna like it, but I loved every part of it. The second it comes to California again I’m buying tickets and I’m anticipating the moment I get to go watch it again. 2. Phantom of the Opera: I get to finally see this musical during summer time and I’ve been wanting to see it more than anything since I watched the movie on Netflix last summer. As of now, it’s still the longest running Broadway musical and I still haven’t seen it, but that will change… hopefully. But, it’s still reserved this spot on my list because I am obsessed with the story, despite how high-key toxic the relationship between the Phantom and Christine is. But, that’s what makes the story so interesting and addicting to watch. 1. 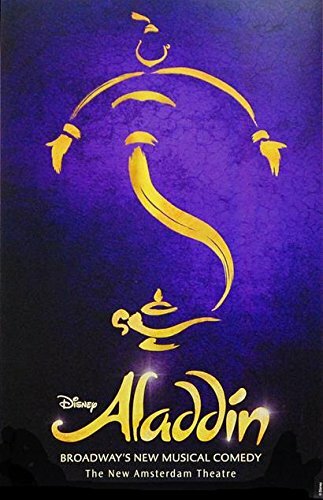 Aladdin: This show is the most underrated popular show in Broadway right now. Aladdin is my favorite Disney movie, but watching the Broadway version was the most magical three hours of my life. I remember at one point I had to close my eyes because the costume and set design were so insane with bright lights and glitter that it was blinding. I never saw so many dancers in sync and so many perfect voices in harmony together in one song. I remember when the show ended, and my aunt, sister, and I were all leaving the theatre and I was in a daze for the rest of the night. Then the next day, I wanted to return. This was a really long list, but if you’ve made it to the end, I 100% recommend you go to any of these shows and you’ll have the best experience ever.